Meryl Cook is an author, speaker, creativity workshop leader, and contemporary rug hooking artist in Dartmouth, Nova Scotia. She launched her hugely popular book One Loop at a Time, a story of rug hooking, healing and creativity in January 2017, selling over 800 copies in the first 8 months. Her second book One Loop at a Time, The Creativity Workbook was launched in November 2017. Meryl was a homeopath and Bowen therapist for 20 years. She stepped aside from patient care in 2015 to rediscover her life’s purpose following a diagnosis of breast cancer. She used her illness as an opportunity to successfully reinvent herself. During her recovery Meryl began journal writing. She also developed a unique system of designing her hand hooked mats based on observing healing energy, chakra colour theory and writing healing mantras on the linen around the edges of the mat. Meryl says writing has become an integral part of her design process. Since 2016 she has written and published two books, launched her line of rug hooking patterns and has been invited to speak across Canada and internationally. Today she helps women in the third chapter of life empower and reinvent themselves. 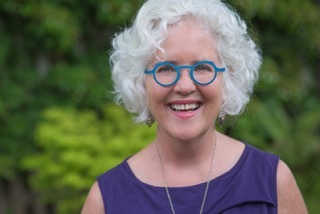 Her popular and often sold-out creativity workshops include Hook a Healing Mat (a combination of journal writing and rug hooking), Chakra Colour Love, Abstract Design for Healing Energy and The Creativity Workbook Toolkit – Turning Inside for Answers (a journal writing and sketching workshop).